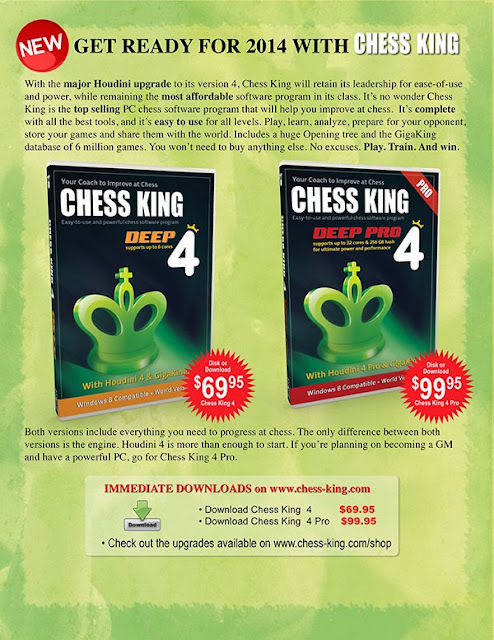 Chess King 4 is in stock! With the newest and coolest engine Houdini 4 and Houdini 4 Pro. 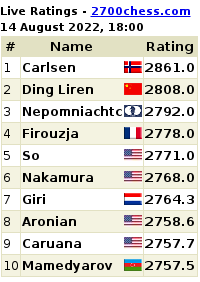 They have just updated the page http://chess-king.com/products/ . Huge power and very easy to use, just what's needed for 2014. Happy holidays to everyone! 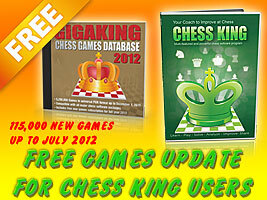 Chess King is a very affordable (Rs 2,500/- for limited time) and very powerful chess training software. Chess King comes with Houdini 2 - the strongest chess engine on the planet. With Chess King you can solve puzzles, play chess against Houdini, analyse your games, prepare for a particular opponent and access more than the five million game database called GigaKing. Here is a video by Steve Lopez explaining what is Chess King. Give it to the British for fine humour and surreal chess... Now, you can add a must-listen chess radio show as well to the list. Folks, if you are not listening to the Full English Breakfast, there's something seriously wrong with your chess diet! Episode number 22 speaks about how to check draws in world chess championship matches, Hikaru Nakamura interview soundbites from the US Chess Championship, and Viswanathan Anand press conference from the World Chess Championship 2012! Use the flash player below to hear the show, or head to The Full English Breakfast website. 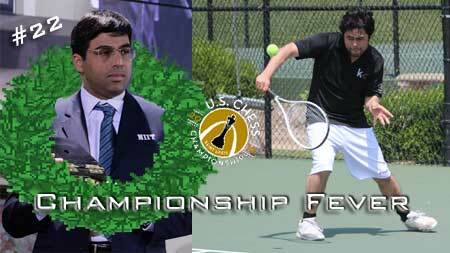 You can watch a previous B&W post for the full video interview with Hikaru Nakamura conducted by Jennifer Shahade. Don't go to sleep tonight without listening to The Full English Breakfast Chess Radio Show number 22. 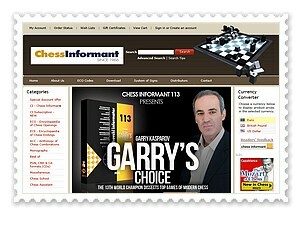 Chess King is proud to sponsor the well-known audio podcast “The Full English Breakfast“. FEB is all about chess chats with a coupla cheeky chaps: International Master Lawrence Trent, Grandmaster Stephen Gordon, and host Macauley Peterson. 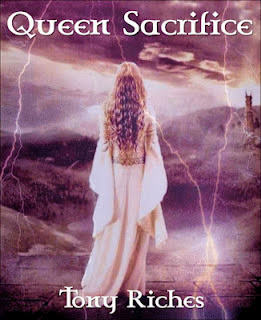 Read further at ChessKing website.